One of my favorite parts about this outfit is the price tag. These are an amazing pair of (faux) leather pants for only $58. They aren't like the cheapier pairs I snap up and wear once or twice before tossing. 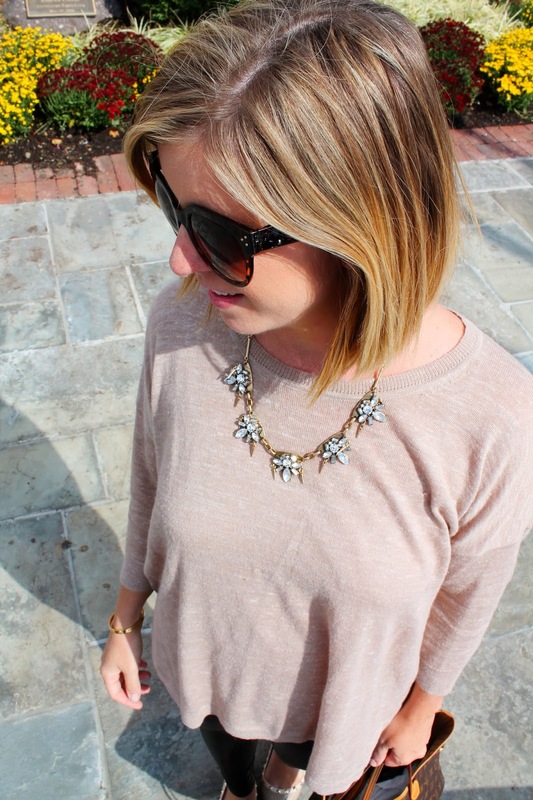 The sweater is basically always on sale and one of the most worn items in my closet. And the shoes come in under $30. My bag is my big splurge piece and I am ok with that since I have had it for about a zillion years. P.S. 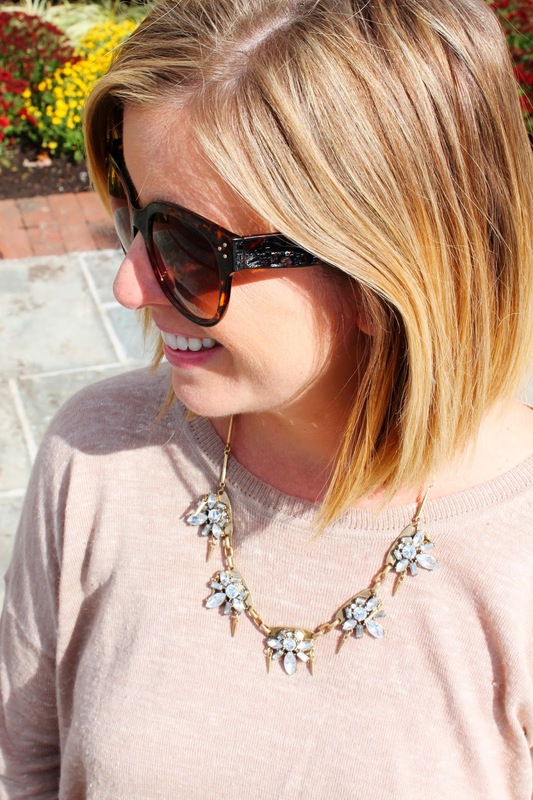 I wear these sunglasses every day and they cost less than $10! Sometimes, it's the little things in life, like a great pair of sunglasses at a steal on a Monday, am I right?! Love this look, and love the price tag of everything too! Isn't it nice having a cheap pair of sunnies that you love? Love your leggings, I'm this close to buying a pair. The price tag on the sweater and the leggings are pretty fabulous. It's always nice to have a pair of cheap sunnies just because! Happy monday! I LOVE this look! That sweater looks so comfy and I need to get myself some faux leather leggings!! This look is AWESOME on you! You're rocking those leather leggings!! Love this classic look - it's great for any occasion and looks great on you! Those HUE leggings are the best! The pairs I own have lasted quite a few seasons! Look at you in your leather leggings!! I've been going back and forth on buying these Hue ones and now I'm officially sold! You look awesome! Love this look and you rocked it completely! !